إن فندق Freycinet Waters بموقعه الممتاز في هذه المنطقة السياحية هو نقطة انطلاق جيدة لنزهاتك في هذه المدينة المذهلة. يسهل الوصول إلى هذا الفندق ذو 4 نجوم من المطار، فهو يبعد عنه مسافة فقط. يشكل هذا الفندق ملاذاَ مريحاً للاسترخاء ويمنح زواره فرصة للاستجمام والتجدد، وهو يقع على بعد خطوات من المعالم السياحية الكثيرة للمدينة. يعمل Freycinet Waters على ضمان إقامة مريحة لضيوفه من خلال خدماته الممتازة وحسن ضيافته. تتضمن الميزات الرئيسية في هذا الفندق: واي فاي مجاني في جميع الغرف, واي فاي في المناطق العامة, صف السيارات, انتظار السيارات - متاح في الفندق, صف السيارات ذاتيًا. لقد جهزت هذه الإقامة الفندقية بعناية فائقة لتوفر مستوى عالي من الراحة. في بعض الغرف يجد النزيل تلفزيون بشاشة مسطحة, اتصال لاسلكي بشبكة الإنترنت (مجاني), غرف لغير المدخنين, مكيف هواء, تدفئة. كما أن مجموعة الخدمات الواسعة الموجودة في الفندق لضمان راحتك تترك لك الكثير من الخيارات لقضاء وقتك أثناء فترة إقامتك. إن Freycinet Waters هو خيارك لخدمة الفنادق الراقية في المدينة. يرجى ملاحظة أن فريسنت ووترز لا يسمح للأطفال الأقل من 14 عامًا بالإقامة في العقار، بما في ذلك الأطفال/الرضع. 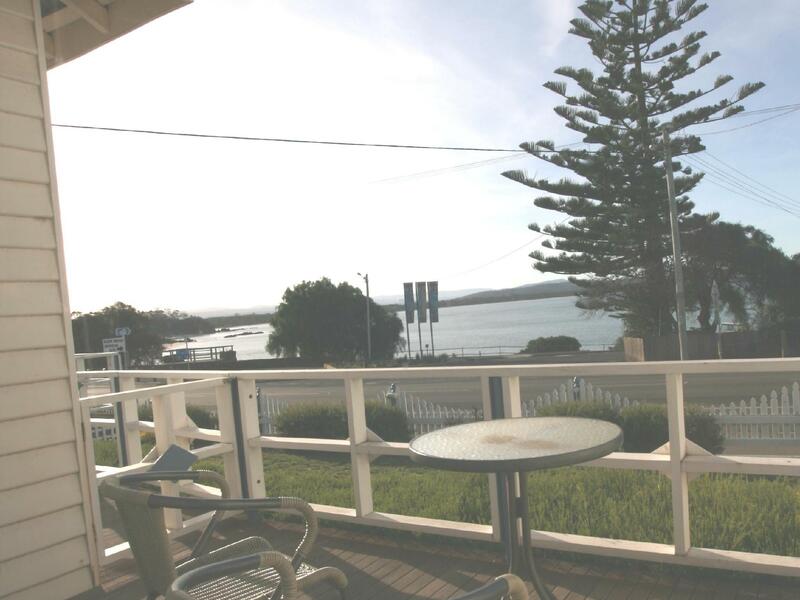 Pros - amazing location right opposite the beach and jetty, and just down the road from the local shops, restaurant, cafe and laundrette. Karen was very friendly and welcoming, greeted us on arrival, gave us a quick run down of the town and showed us to our room. The room came with all the expected inclusions, and our own clean(!) toilet and shower was a plus. After a day of driving/exploring we were happy to sit on our little deck overlooking Swansea and take in our quiet and peaceful surroundings with some cheese and wine. We weren’t disturbed by any other patrons or breakfast being held in the combined area next door - total plus as it allowed abit of a sleep in before hitting the road again. Cons - none. What stood out for us - the spectacular location. What a treat it was to enjoy the evening on that deck. Such a beautiful place to stay, beautiful queen bedroom we had with all facilities needed. Very well presented, the breakfast was so lovely. Everything's just simply perfect and making us feel like to go back again. Love it! The host of this hotel, actually house, is an old lady. She is energetic and nice. She welcomed us like family. The breakfast is fantastic. Must try. The host Karen is super nice, she introduce the room to us in details and provide recommendation to us for dinner. Room is clean, tidy, and gave you wran feeling. Her husband cooked very great breakfast to us. 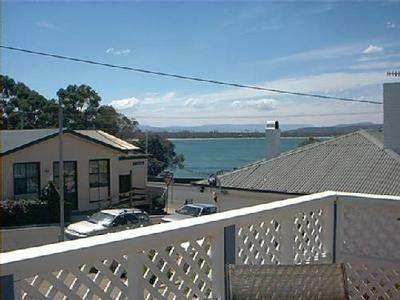 It is a good B&B as a base between Hobart and Coles Bay. Easy to find. Clean. Karen is very attentive. Breakfast is OK. Out of the 3 choices, I tried 2 of them. The Eggs/Bacon/Mushroom is better than baked beans on toast. Bed is comfortable. Walking distance to grocery store, visitor center and restaurants. I was staying at Rm 1. Although sometimes I could hear the conversations outside my room when other guests checked in (as the guest entrance is right next to my room door) but it is not a major problem. It could get cold at night even in April. I didn't know the AC also works as heater on my first night. When I returned to my room before sunset the next day, I found the heater was turned on which was nice. I wish the heater info was in the hotel info folder. It really felt like home. Owner is warm, friendly and helpful. She gave us very detailed information and suggestions on our next destination. Room is clean, cosy and well equipped. We were kept warm throughout the night. There is nothing to fault. And the owner kindly made us sumptuous breakfast the next morning. We will definitely come back again! We had a fantastic stay there with warm hospitality by the host. The location is easy to find and close to other spots in Swansea. It offers free wifi which is not common in other hotels of the same grade. Will return and recommend to my friends. I got an extraordinary experience of staying there. The apartment is very large with everything well equipped. Supermarket and restaurant are nearby which is convenient. Also very glad to have an excellent wifi connection. Host is also very nice and enthusiastic. Definitely would like to revisit again. Karen was a knowledgeable and comforting host - as a lone traveller it was nice to treat myself to a BnB that felt homely, and to get some good guided travel tips; and a yummy breakfast. Swansea is quiet - so don’t expect buzzing nightlife; but the views are beautiful and you’re right on the waterfront. Bed was warm and comfy and bathroom was clean. Would strongly recommend. 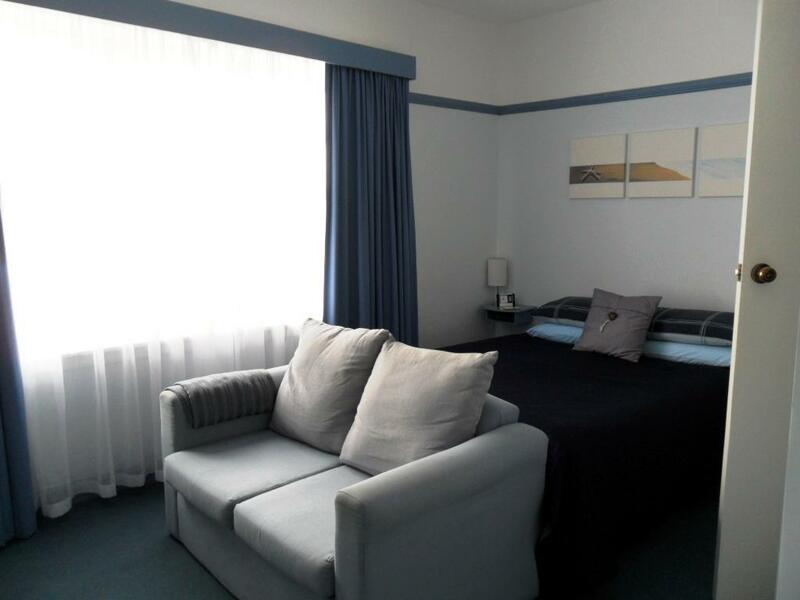 The two room unit was spacious, clean, well appointed and reasonably modern. Comfy bed, plenty of heating for mid winter nights. 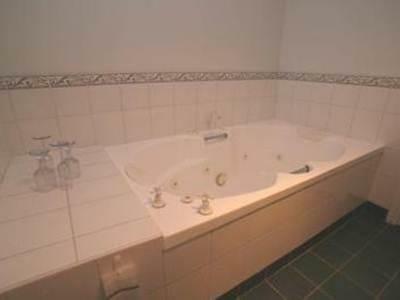 Had full size washing machine in bathroom, bonus TV in bedroom. Owner was very informative and helpful. Complimentary food in unit for for a good breakfast. Good value for money. A beautiful location facing t he sea. A clean, comfortable room and a good breakfast. 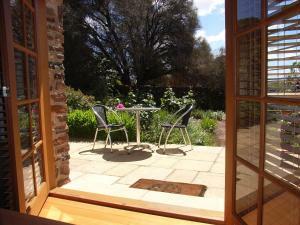 Freycinet Waters was great and the staff friendly. The bed was really comfortable and the appliances were quality (unlike those in big chain hotels). The supplied food was generous. My only criticism is of the town of Swansea itself. All the eating establishments were quite expensive (double what I would pay at home in Melbourne) which wasn't the case in other towns nearby. This is a lovely historic building. It is very clean despite its age. 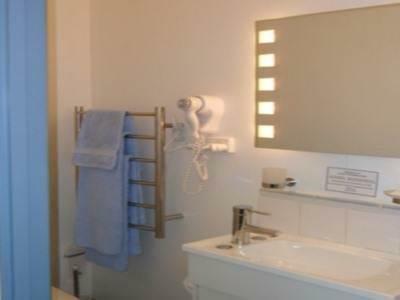 It has all the modern creature comforts to keep you warm in a cold winter night, from the heated towel rails, heater in toilet, heated bed, reverse cycle air con and not forgetting the delicious port. Karen was so friendly and a great host, offering travel tips and we had a lovely breakfaat. Who doesn't love haggis and black pudding? ? This was an excellent place to stay. I've stayed at numerous hotels but this is one of the best by far. Karen the host was extremely engaging and friendly and the facilities and breakfast were top notch. Would happily come back if I was back in the area in the future. The room is more like a self contained flat attached to the house. It was clean, well set out as well as being private and very quiet. 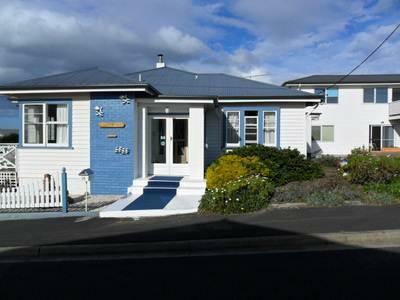 It is located opposite the beach on the main road and everything is close at hand. A coin laundrette across the street was handy as we had been travelling for a few days and were able to wash some items. Breakfast was ok but not great.